Options 6" Mp Loofa Assorted Colors 24" 18" 12"
Don't be confused: it's called Loofa, but it's not made from a sponge! This colorful terry cloth, plush filled, squeaky toy comes in a variety of color and sizes. It's bitable head and long body make it great for tugging, pulling, or fetching, and its squeaker great for squeezing. 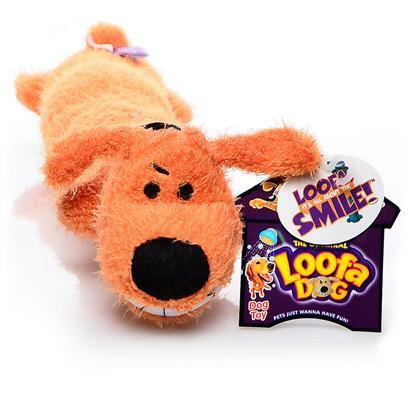 After just a few minutes playing with Loofa Dog, your dog will be wearing the same wacky grin. The larger sized Loofa Dog's long, floppy body is especially fun for dogs who love to whip their toys around and kill them. Available in many colors!